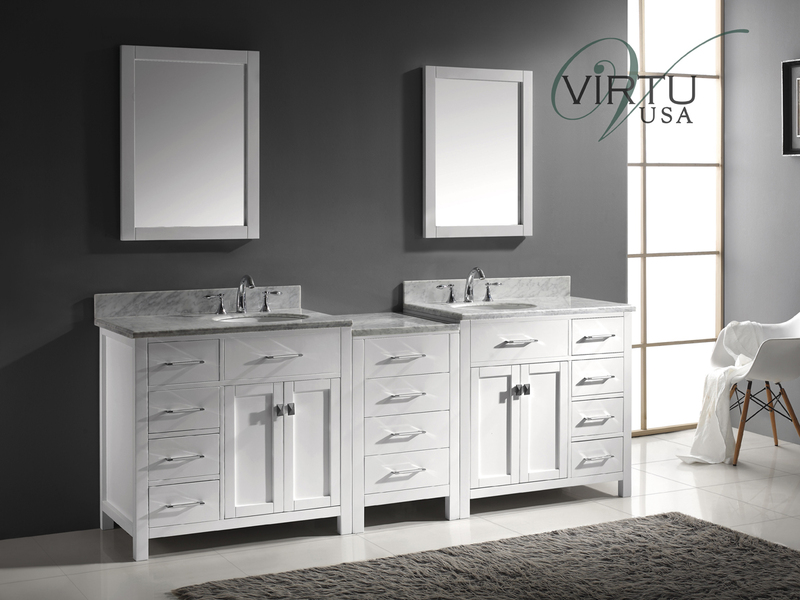 The 93" Caroline Parkway Double Vanity puts together a transitional look with a sleek style to give you a truly functional cabinet. 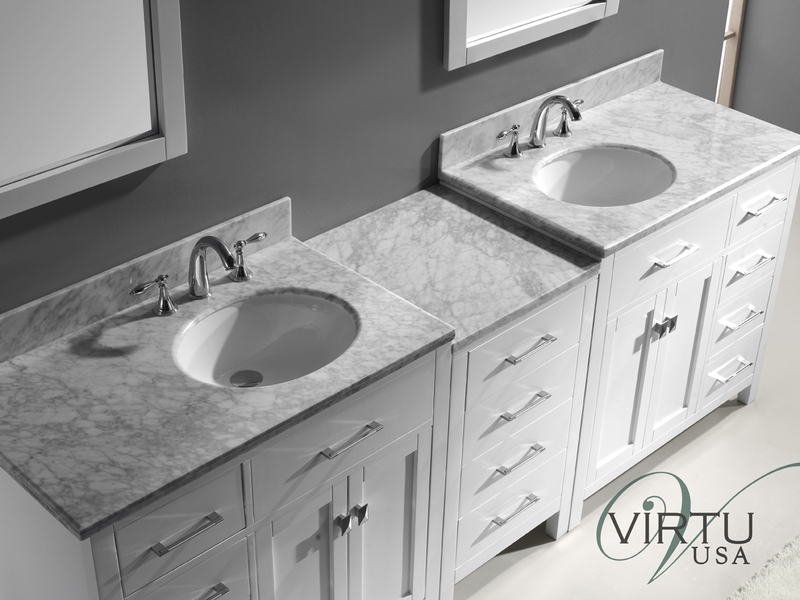 Featuring a style that teeters between modern and traditional, this vanity offers a solid oak constructed cabinet with a White finish that's complemented by an Italian Carrera White Marble top. 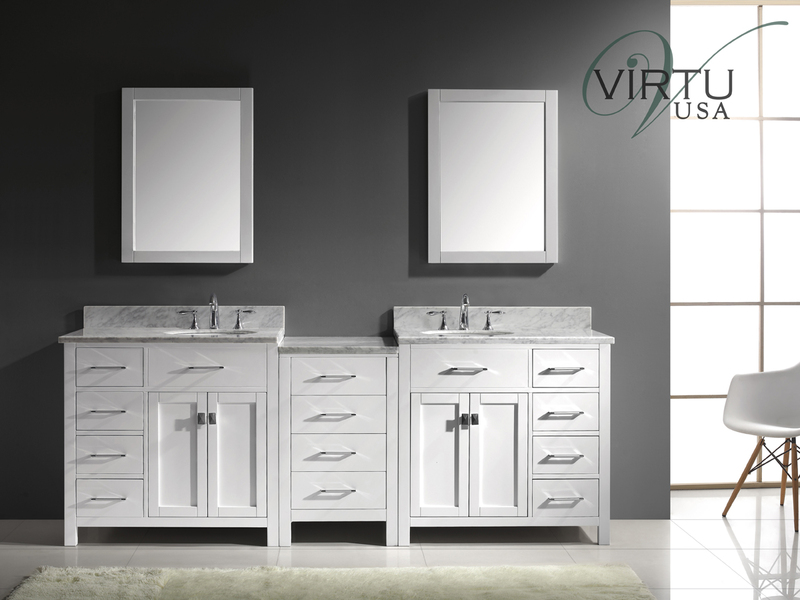 The Caroline Parkway puts together spacious counter space with 2 double door cabinets and an incredible 12 drawers of storage space, all equipped with soft-closing hardware to ensure the safety and durability of your new vanity.